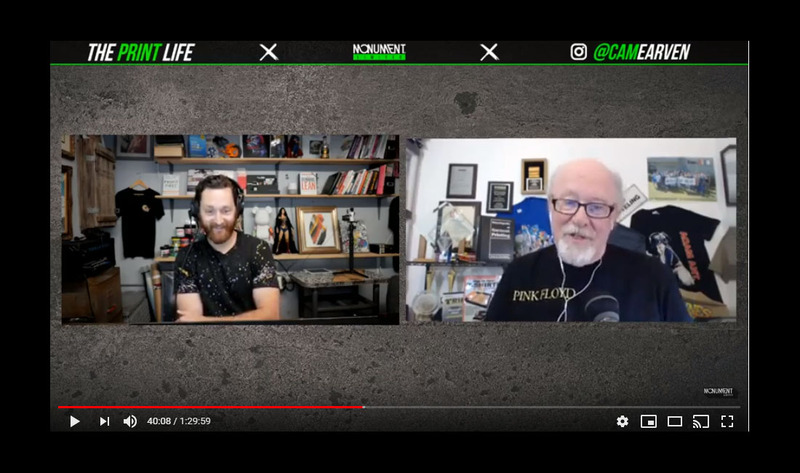 I had the pleasure of being interviewed by Cam Earven of the Facebook/YouTube channel The Print Life. The topic was “Buying Your First Automatic Screen Printing Press” but we did a lot more than just talk about that with 90 minutes of talking about the industry, our experiences, changes we have seen and much more. It is a fun interview and you can check it out on The Print Life YouTube channel. There are also some great tidbits and industry history tucked in too. Enjoy! Previous articleOnline T-Shirt Screen Printing Master Class. Check it out! Online T-Shirt Screen Printing Master Class. Check it out! How to Print T-Shirts eBook! FREE! Catch the ISS Long Beach Show Review with Fresener and Greaves.